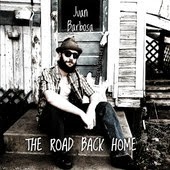 Southern Spirit Music Blog: Juan Barbosa - The Road Back Home ( 2013 ). Eccellente Rock Blues/Soul dal Canada. Juan Barbosa - The Road Back Home ( 2013 ). Eccellente Rock Blues/Soul dal Canada. Da Huntsville ( Ontario, Canada ) ho il piacere di segnalare Juan Barbosa, un grande musicista che con The Road Back Home, album totalmente autoprodotto, ci offre un sound trascinante e divertente che spazia abilmente tra atmosfere Rock Blues, Soul e Country Rock. Un musicista completo e molto interessante, da seguire con attenzione. My entire life i have been bouncing between different styles of music. Whether it was Thrash metal, Hip-hop, Rock & Roll or dark synth pop, I was always told there was a "bluesy" tone to my playing/vocal style. So it got me to thinking (as well as other things in my life that were going terribly wrong at the time) "why not write a blues album? ", so that exactly what im gonna do! alot of these songs were written during my busking phase in belleville with the guidance of my father eddie "kojak" barbosa, so i will be dedicating this project to his memory. He was a good father and a brilliant musician, and his spirit will live on through the things he taught me. I believe his spirit is on this material. The thing i love about the blues is that it can be stretched in so many different directions, while still remaining "blues" at its core. This unique stylistic quality is very well suited to me since i cant ever seem to sit in one musical space for too long :-/ here i have more space musically and can move around and still hold on to that bluesy goodness that i love so much.I'm not really trying to be different anymore. I'm not trying to create a "new sound" or anything crazy like that. I'm just trying to write some funky blues based soul music that sounds good to my ears. And if it sounds good to other peoples ear thats great! Really what i think that ive known all along is that by not trying to create something for the sake of being original, I have written some of the most honest songs i feel i have ever been a part of. Funny how that works ain't it?Before when i used to start a project, I would think to myself "what kind of persona do i want to create?". It was a way to escape into another world, or make myself feel more powerful/vulnerable depending on the project or what emotions i needed to let out. But now it doesn't feel like i'm hiding or trying escaping from anything. Its all very natural, which is different. 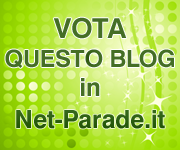 And i like it :DI very much hope that you enjoy the music on this page. And thanks for listening!